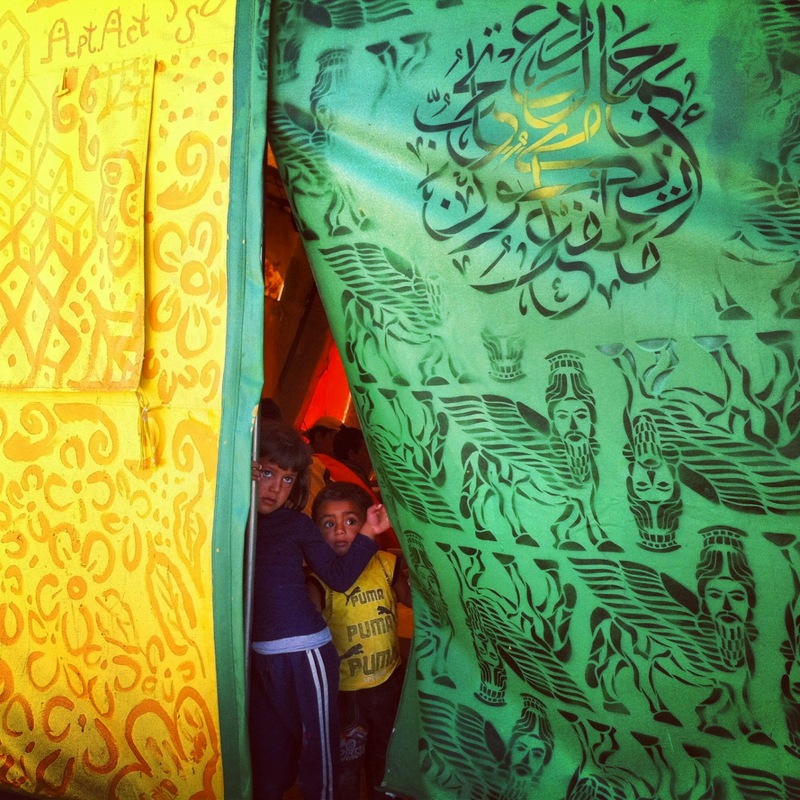 Za’atari Syrian Refugee Camp in Jordan, 2013. This piece was created in collaboration with Syrian refugee children, and explores the importance of water conservation, especially for those who suddenly find themselves stranded in a desert. Collab with the organizations AptART and ACTED. Za’atari Syrian Refugee Camp in Jordan, 2013. Syrian refugees participated in the painting and wrote their hopes for the future of their country and families. Collab with the organizations AptART and ACTED. New York 2013: “Tomorrow is More Beatiful” on canvas– this is an Arabic proverb and features a portrait of one of the young participants in the Za’atari refugee camp project in Jordan. Joel with his new friends and collaborators, the Syrian hygiene promotion crew! !